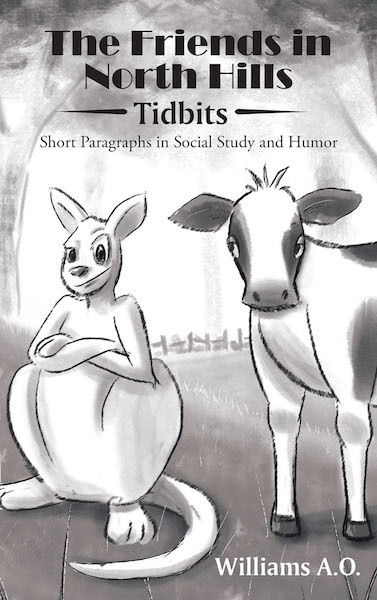 This book was conceived as a satirical piece intended for teenagers as a means of teaching morals, ethics, dignity in labor, and social etiquette. It began as short essays written by the author as light humor for publication in a church house journal from the year 2007 to 2010 and was subsequently arranged with additional written pieces to make a collection of tidbits as seen presently. Each paragraph seeks to teach a lesson on social conduct or decency in demeanor. The animal subjects are depicted as social characters each having a peculiar behavior or social character of its own. The lessons espoused in the paragraphs are various. A critique, a commendation, or an observation that seeks to highlight a pattern of behavior not uncommon to human society. Sub-themes such as unfriendliness, deviance, diligence, chivalry, kindness, quietness, and peacefulness are exaggerated deliberately for emphasis to reinforce the lessons and messages desired in the book. A short quiz at the end of the book seeks to encourage reflective thinking on the few pages of this book to refresh the reader of the funny animal characters most of whom have funny four-letter names, the exception being Ernee the Ostrich, as you may guess rightly, ostriches are uncommon birds and do have a long name O-s-t-r-i-c-h; I could not think of a short name for Ernee. Hope you enjoy reading the paragraphs as much as I have enjoyed putting them together as a first-time public author.